ELEKTRONIKPRAXIS is a highly competent provider of application-oriented provider of technical information and information about the industry, providing maximum value to developers of electronics, purchasers, technical management and manufacturing experts. ELEKTRONIKPRAXIS reports in its fortnightly issues on current events in the electronics industry and on new products, technology and development processes. Using all journalistic formats, ELEKTRONIKPRAXIS is the source of information for hardware and software developers, purchasers, specialists for assembly and connection technology, as well as for electronic manufacturing services and decision-makers in the electronics industry in the German speaking regions. In addition to the contents of its 24 main issues each year, ELEKTRONIKPRAXIS also publishes 17 special feature issues addressing key areas of interest. ELEKTRONIKPRAXIS has developed various training curriculums under the umbrella of the ELEKTRONIKPRAXIS Academy. The various offers address electronics developers, employees in sales and marketing, the technical management and decision makers in the electronics industry. PLC2 was founded in 1995 by Dipl. Ing. Eugen Krassin and his wife Andrea. The engineering office was based in Freiburg-Opfingen (SW Germany). From the very beginning, the field of activity was focused on training related to Xilinx FPGAs. 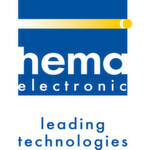 Four workshops covering the device architecture and VHDL constituted the initial offering. Already one year later, as one of the worldwide first companies, PLC2 was rewarded by Xilinx with the ATP (Authorized Training Provider) status. In the following years, the training portfolio got continuously expanded. Additionally, in order to handle the growing demand, the number of employees was increased. In 2001, the construction works for the company building were launched. The year after, the company moved in and from that point of time on had its own class room available. The legal form of the engineering office was changed to PLC2 GmbH (LLC) in 2007. Today, PLC2 GmbH has nine employees. Each year, our instructors teach roughly 1300 developers belonging to all areas of the industry. 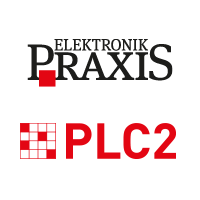 This makes PLC2 GmbH the most important European training provider with regard to Xilinx technology. The current course offering is comprised of 73 workshops covering the following fields of interest: Design, architecture, verification, embedded, connectivity and DSP. The Vogel Communications Group is a full-service provider for your B2B communication! Experience in many markets, comprehensive industry knowledge and a wide network of experts are available to open our customers the door into the markets and to establish them there. All media options available offer perfectly tailored tools for your corporate communication. Communication is our business – let yourself be surprised.